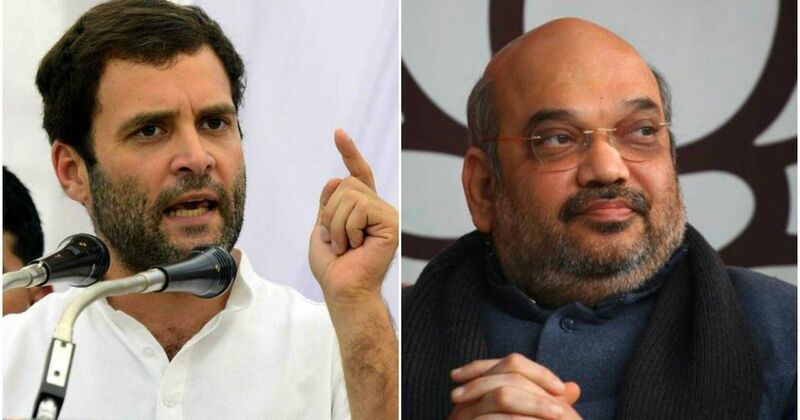 Sri Ramachandra Murthy August 16, 2018 15:00 IST Congress accuses Amit Shah of disrespecting national flag! Congress party has accused BJP national leader Amit Shah has disrespected the national flag. Yesterday, the 72nd Independence day of India has been celebrated all over the country in a grand manner, the prime minister of India, Narendra Modi, hoisted the national flag at Delhi Red Fort, and delivered his Independence Day speech. In a similar manner, Chief Minister of Tamilnadu, Edappadi Palanisamy had hoisted the tricolor in Saint George fort Chennai, and delivered his speech on occasion of the Independence Day. The procedure was followed by all the states, by the chief ministers of the corresponding states. Besides state chief ministers, the political party leaders of various political parties also hoisted the national flag at their party offices to respect the nation. Congress President Rahul Gandhi hoisted the national flag in Congress head office at Delhi, and paid respects, and in the BJP office, Amit Shah was present to hoist the flag, However, in an unexpected turn of events, Amit Shah, instead of hoisting the national flag, dropped it, as the flag touched the ground level, following which there was a moment of chaos and confusion. However immediately Amit Shah realized his blunder and hoisted the national flag. The Congress party has however issued a statement condemning this act of disrespecting the national flag, adding that how can such people who could not even handle the national flag, handle and rule the nation. The congress had also said that the BJP has hated the tricolor for 50 years, and they have disrespected it yesterday, and that people who certify others for their patriotism, never know the value of national anthem.